It is an unfortunate fact of life that riding a motorcycle is not as safe as driving a car. In 2013, while motorcycle accidents accounted for only 4% of the people hurt on the roads of America, they accounted for 14% of traffic fatalities. Thankfully, just like it is helping improve the safety of cars on the road, technology is also protecting motorcyclists as well. As these developments continue, riding a motorbike should get safer and safer as we move into the future. 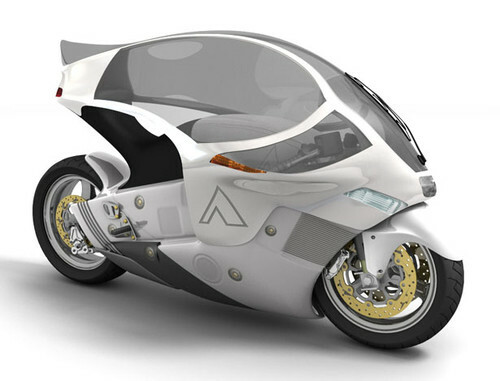 The motorcycle helmets of tomorrow will be drastically different than the helmets of yesterday. Already, the top-of-the-line motorcycle helmets are being equipped with Bluetooth technologies and augmented reality graphics that allow riders to project GPS information onto the insides of their visors, reducing the need for taking your eyes off the road to make sure you are going the right way. They might not seem like the most likely place for important technological innovations, but motorcyclists in New Hampshire and elsewhere are fully aware of the problem: headlights that shine straight ahead become increasingly useless as you make a sharp turn. Adaptive motorcycle headlights, however, turn with the bike. Using sensors onboard the motorcycle to determine how far the bike is leaning to the side, adaptive headlights know how sharp the turn is and adjust their beam corresponding to the angle, illuminating what is coming up as the bike makes the turn. On older motorcycles, when the driver turned the throttle, it would pull a cable that added or decreased the flow of gasoline into the engine. The mechanism was simple, but prone to unforced driving errors if the rider twitched, reacted to a sudden danger, or even got stung by a bee. Newer motorbikes read throttle turns with a computer, which then compares the turn to the current gear and speed of the bike. If the throttle turn would take the bike out of control, the computer reduces it to a more manageable adjustment. Because motorcycle accidents are often far worse than car accidents, the startup Autotalks has focused its energy on making sure motorcycles and cars stay out of each other’s way. To do this, the company has been paving the way in vehicle-to-vehicle communication technology, which lets motorcycles exchange information—like speed, location, and direction—with other cars in the immediate vicinity. When there is a hazard like a suddenly braking car, the system alerts the motorcycle driver and gives them more time to adjust their bearing than their senses could ever hope for. Unfortunately, this vehicle-to-vehicle technology is still years from being widespread, for a simple reason: all vehicles on the road need to be equipped with a sensor for them to effective. The NH Motorcycle Injury lawyers at the Manchester law office of Tenn And Tenn, P.A. represent victims of motorcycle accidents and help them obtain the compensation they need and deserve. Contact us online or call our lawyers at (888) 511-1010 today.